This thread is for anything related to animal consciousness. Im always wanting to know whats going on in my dogs minds. They are 100 percent conscious. That much I do know. I'm absolutely convinced that my 3 year old Irish setter is conscious and intelligent, with a high level of emotional intelligence. 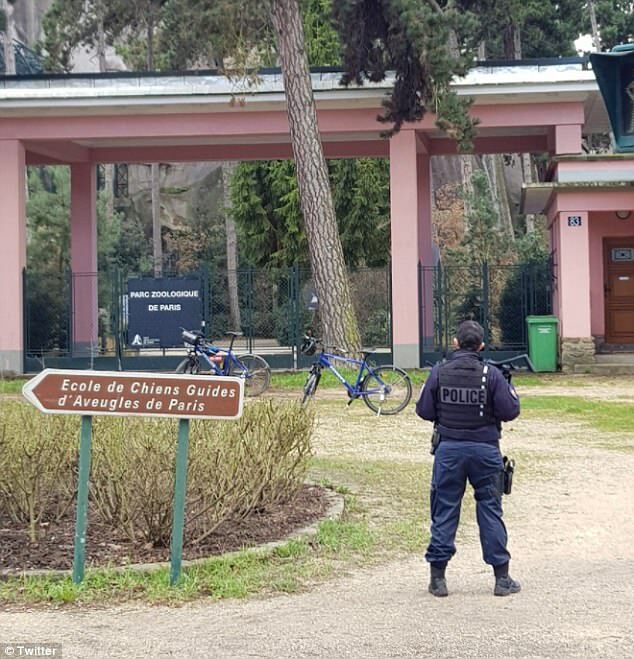 The biggest zoo in Paris went into lockdown today after around 52 ‘large and potentially very aggressive baboons’ escaped from their enclosures. All were seen running amok in the French capital’s Zoological Park, in the Vincennes woods, soon after midday, but it is thought just four remain on the loose after 48 of them were recaptured. ‘It’s not known how they got out, but everything is being done to try and get them under control,’ said a source at the zoo, which opened in 1934. Yikes! That’d be quite scary. Rafal Kowalczyk, a bison expert who has managed to photograph the unusual sight, said the cow seems to be in good condition. This video is about sperm whales interacting with divers. Sperm whales' form of communication may be more sophisticated than human language. The neocortex of their brain is six times larger than that of humans. The neocortex is believed to be responsible for conscious thought, future planning, and language in humans. Sperm whales have had spindle cells in their brains for 15 million years longer then humans and have them in far larger quantities than humans do. Spindle cells are responsible for compassion, love, and speech in humans. Studying sperm whales up close is dangerous. Their clicks can be up to 236 decibels which is loud enough to kill a person, they can hear each other from thousands of miles away. I've always wondered why animals don't know I'm about to kill and eat them, and flee sooner. I sit there and stare at them in my rifle scope, but they seem completely unaware. It is true that they will get spooked and jog away if I stare at them for more than about a minute. Is there really any doubt that animals are conscious? Is conscious the word you meant to use? The animal made its bid for safety last month after it refused to get into a lorry taking it to be killed for meat. Instead it rammed a metal fence before making a dash for the nearby Lake Nysa, south Poland. 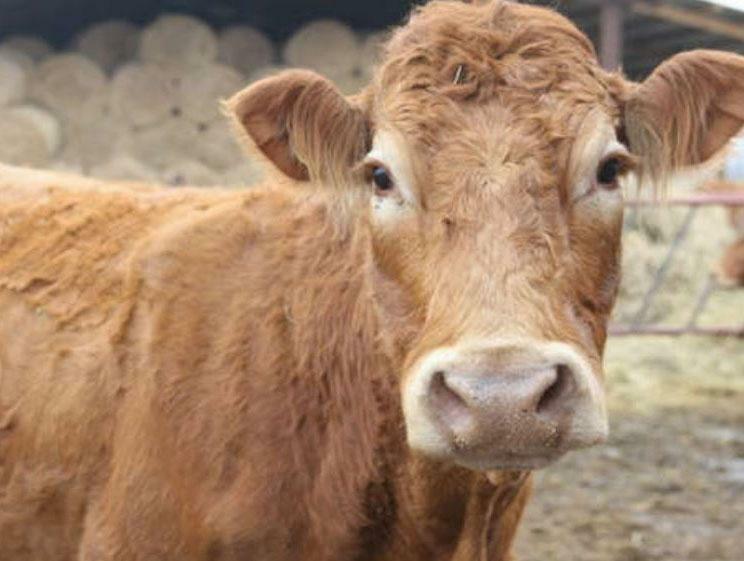 After the cow’s owner, known only as Mr Lukasz, attempted to get it back to the farm, the cow broke one of his worker’s arms, according to Polish news show Wiadomosci. It then entered the water and swam to one of the islands in the middle of the lake. Mr Lukasz said he even saw it dive underwater on its way. She fled heroically and swam to an island in the middle of the lake where she remains until today. She didn't give up on firemen who wanted to transport her by boat, and she's still on the battlefield. I believe that Mr. Luke-owner of the cow has been delivering food for the animal to the island for three weeks. I'm not a vegetarian, but fortitude and the will to fight for this cow's life is not to be of! Sperm whales have had spindle cells in their brains for 15 million years longer then humans and have them in far larger quantities than humans do. Spindle cells are responsible for compassion, love, and speech in humans. Animals are non-human types of people. Humans are not superior to animals. Animals have consciousness too and possess a natural curiosity and enjoy playing. I had always thought people were clearly superior to animals while I was Christian. The more I started studying and leaning towards "evidence based spirituality" the more I started feeling the same way you do on the matter. Coconut crabs open coconuts by removing the husk and then dropping them from trees. The coconut crab can take a coconut from the ground and cut it to a husk nut, take it with its claw, climb up a tree 10 m (33 ft) high and drop the husk nut, to access the coconut flesh inside. Crow filmed using a car to crack a walnut. Scientists: Crows don't use cars to crack walnuts. Youtube: Crow filmed using a car to crack a walnut. Apparently animals have enough Consciousness that their suffering is pleasing to Entities who enjoy that type of thing. 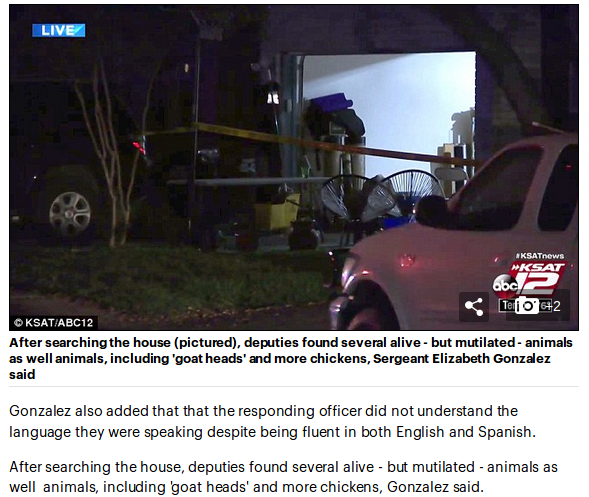 I wouldn’t trust any Inter-Dimensional Entity who requested that I mutilate LIVE animals, but that’s just me. If you think youtube censorship and demonetization is politically motivated and they need some competition, watch dailymotion. Or, since it is based in France so you can express anti-American feelings by watching them instead of youtube. Rodríguez was 19 when he was discovered living in Spain's Sierra Morena mountain range. Rodríguez found himself living with the wolves when he was left without parents. His mother passed away when he was three and his dad went to live with another woman. They took him to the mountains to replace a goatherd who looked after 300 animals - but while he was taught how to make a fire and utensils, the man disappeared or died leaving seven-year-old Rodríguez alone. He said: "One day I went into a cave and started to play with wolf cubs that lived here and fell asleep. Later, the mother brought food for them and I woke up," the BBC reports. "The wolf started to rip the meat apart. A cub got close to me and I tried to steal his food because I was hungry as well. The mother pawed at me. I backed off." But he says after feeding her pups she threw him a piece of meat. He said: "I didn't want to touch it because I thought she was going to attack me, but she was pushing the meat with her nose. "I took it, ate it, and thought she was going to bite me, but she put her tongue out, and started to lick me. After that I was one of the family."